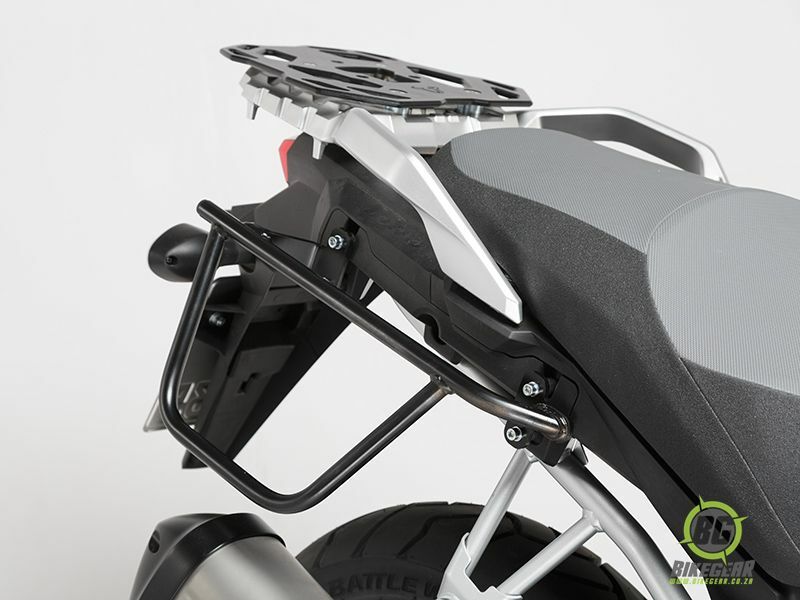 Robust model specific ballistics nylon textile saddle Bags for the Suzuki DL 1000. 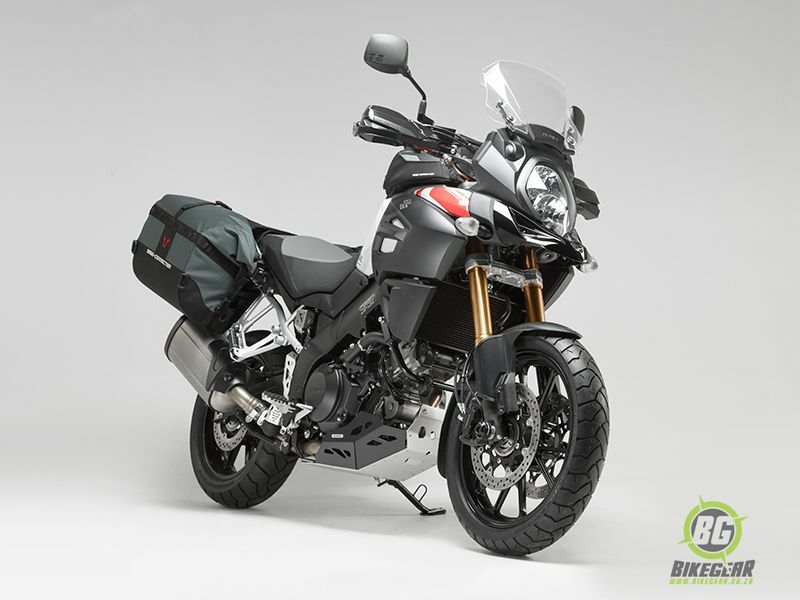 Motorcycle textile pannier saddle bags are an ideal way to carry your luggage on your Suzuki DL1000, whether travelling on tar or for off road touring in South Africa. 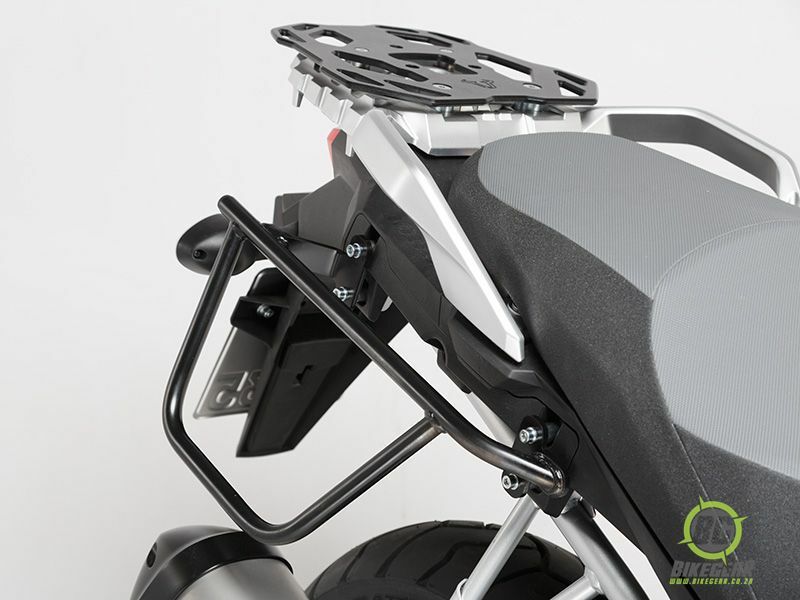 The DL 1000 is a popular dual purpose motorcycle but in order to get the best out of its versatility it requires the capacity to carry some form of luggage. These custom textile pannier saddle bags from motorcycle luggage specialists, SW Motech, have been specifically designed for the terrain your Suzuki DL 1000 revels in. Click here to read more about these unique motorcycle textile pannier saddle bags. 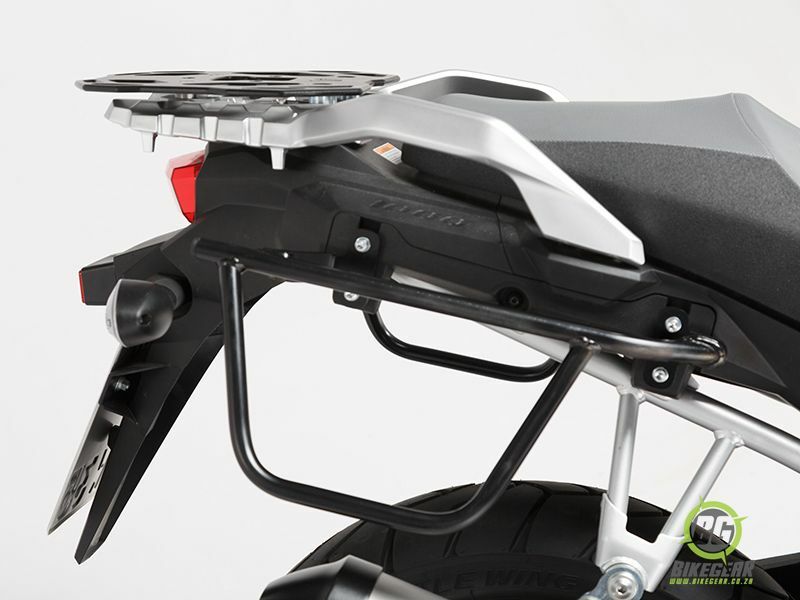 Includes custom luggage racks designed specifically for the D L 1000 for a seamless fit and visual integration. Hand crafted from 1680 D ballistic nylon, the same material used in bullet proof vests. Unique integrated ,semi-rigid ABS honeycomb core (for easy packing and extra protection) ensures that  the pannier bags retain their shape. No need to remove the saddle bags from the bike as the included removable waterproof bags match the internal profile of the saddle bags . These allow the user to simply pre-pack his/her luggage into the removable waterproof bags and slide them into the panniers. Pillion friendly as it does not restrict movement , safety or comfort of a pillion passenger. Roll-top Velcro closure for dusty terrains. Totally Zipper free. Triple stitched at stress points. 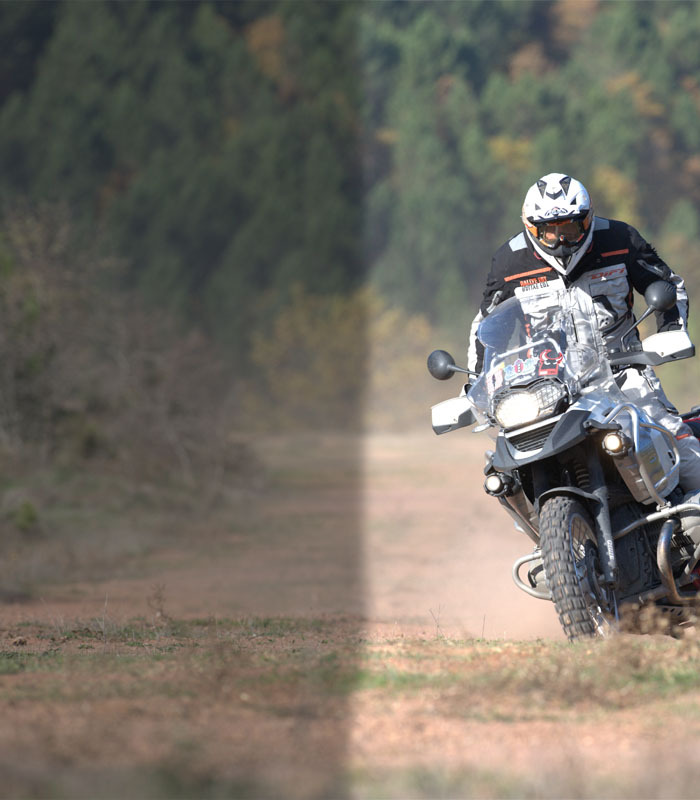 2 Dakar Motorcycle textile pannier saddle bags. 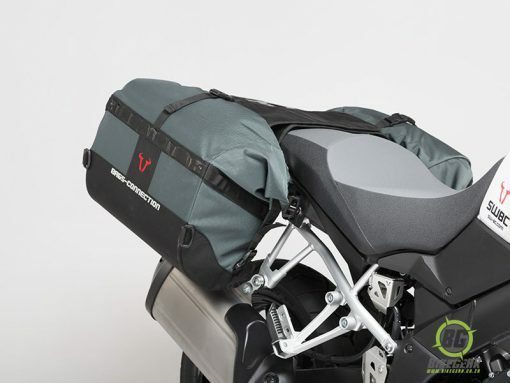 Model specific pannier luggage frames for the Suzuki DL 1000 (model year 2014 onward).